We got a bunch of bikes to sell, and plenty of stuff to sell to benefit PAZ and help us keep door open over the next year. 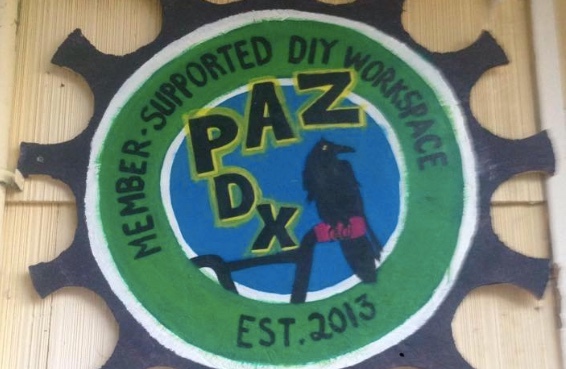 Portland Autonomous Zone formed in Jan. 2013 and aims to be a hub for bike fun and DIY sub-culture. It’s a place to create just about anything from welding to recording studio. We have 5 workbenches now(3 in garage, 1 electronic bench, and a sewing bench! Something like a Moose Lodge for makers with focus on bikes. It’s not a for profit business, somebodies house, or run by a bike club. It’s a members supported space and run by members. Members can go at any hour and turn on an air compressor, cut metal, hammer, or just listen to your music loud while you get bike crafty. We even got a shower, kitchenette, 2 bathrooms, and close-in.